The Bonzo line of disposable shoe covers is a cost-effective solution for general protection against liquids and dirt. 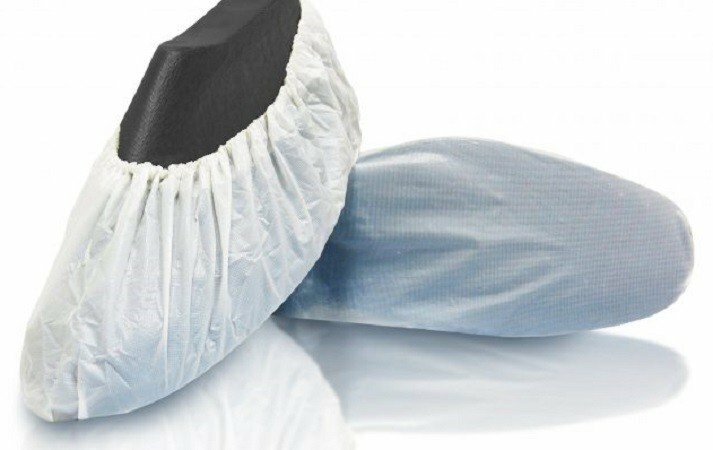 These shoe covers are made with a CPE (Chlorinated Polyethylene) film with a textured surface for added anti-skid properties. The Bonzo White shoe covers are made with a heavier CPE film for added resistance. This gives them excellent waterproofing properties for typical everyday use. They fit most shoe sizes and can be used on a variety of floors. Heavier CPE film for added resistance. Size: Universal size is made to fit most shoe sizes. 1000 units per case - packaged in 10 bags (100 per bag). General protection from liquids, dirt or snow.